You have to look hard to find protein, nutrition and granola bars without palm oil. Watch out for glycerin, glycerine, and tocopherols. Avoid ‘filled’ bars. Also, chewy bars typically contain palm oil. Remember, the less ingredients something has, the less likely it contains palm oil. After cross-referencing their ingredients against hundreds of names of palm oil derivatives, these nutrition bars and granola bars do not have any palm oil ingredients. We continue to contact the companies to confirm and update when we hear back from them. This is the first company in the U.S. to have some products certified palm oil free. 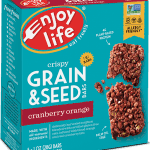 What’s great about Enjoy Life Foods: They are the first company in the United States in the “Free From” category to earn Palm Oil Free Certification from the International Palm Oil Free Certification Accreditation Programme (POFCAP) for all four flavors of their Grain & Seed Bars. Learn about this Accreditation Programme here. 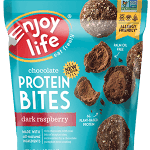 Enjoy Life Foods also earned this important Palm Oil Free certification trademark for four flavors of their Protein Bites. All RXBAR products are palm oil free. What’s great about RXBAR: They use dates to bind their ingredients instead of palm oil like other companies do. They list their ingredients on the front of each package. 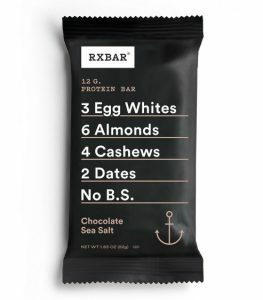 RXBAR confirms these bars are made without palm oil. In this day and age when most companies use palm oil and palm oil derivatives, it is amazing RXBAR does not. All of their products are palm oil-free, including all of their new flavors. We hope they will promote this on their packaging and on their website. What’s great about KIND: They have many palm oil free options in a variety of flavors and types/textures. Their products above do not contain palm oil, palm kernel oil, glycerine, glycerol, tocopherols or any ingredients derived from palm. Despite many emails over several months to follow up, we are waiting for confirmation from our KIND contact about some of their other products to confirm the source of their glycerine and other ingredients often made from palm oil. 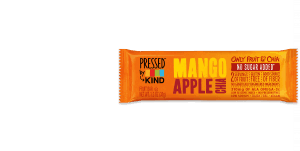 Be sure to read the ingredients to confirm you are buying KIND’s palm-free bars. It seems their new bars contain palm oil derivatives. What’s great about Clif Kid Zbar: Clif Kid Zbar continues to make these bars with other ingredients besides palm oil. My kids love them and have been eating them for over six years. We buy boxes of them every month. It was great to see Clif made their new Clif Kid ZBar Caramel Chocolate bar without palm oil. Anymore, it seems when companies make new products, they are resorting to using palm oil. Instead, this bar include organic fig paste and organic high oleic sunflower oil. A Consumer Care Representative from Clif Bar & Company confirmed their bars above are free from palm oil. Please note, their new “filled” bars and their kid’s line of “protein” bars DO contain palm oil as do most of this companies’ other products and bars. To the best of our knowledge, the bars above are the only ones Clif makes without palm oil. We are awaiting comment from Clif Bar & Company. What’s great about Purely Elizabeth: They have confirmed they make these products and an extensive line of additional products without palm ingredients. See them highlighted in our list of granola without palm oil. 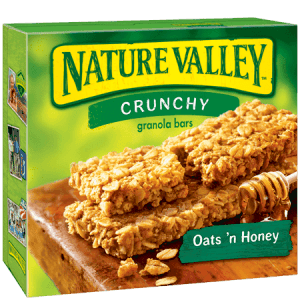 We are reaching out to Nature Valley to find out if their other Crunchy granola bars are made without palm oil ingredients. We have not yet heard back from Simply Balanced (Target brand) to confirm this flavor of granola bar is free from palm oil. We have checked the ingredients, and it seems these bars are made without palm oil. Palm oil ingredients go by hundreds of names which often makes them difficult to avoid and eliminate. However, there are derivatives which are often made with palm oil which are more difficult to know to look for. Unless the company lists the source, you won’t know unless you contact them. In granola and other bars, these ingredients most often contain palm oil. Tocopherols: This ingredient can be used as a synthetic Vitamin E supplement or to preserve freshness in foods like granola or fruit bars, cereals, ice cream, and baked goods. If you want to ensure you are not using palm oil ingredients, you can make bars yourself. There are many recipes online. It’s easy to mix in dried fruit, like raisins and cranberries. If you enjoy nuts, you can add these in along with palm-free chocolate chips, etc. However, sometimes, we need a fast and easy, grab-and-go snack, which is why it’s great when we can buy bars without palm oil. Granola bars aren’t perishable so they are the perfect snack to put in a lunch bag or to send as a snack to school. They are great for road trips and for outings, really anywhere you need to send a snack. Always read labels. Know there are hundreds of alternate names for palm oil ingredients. Please do your best to support these companies and products so they can remain palm-free. If you get sick from palm oil or you are avoiding palm oil for environmental reasons, you know how difficult it is to find granola bars without palm oil. It’s difficult to find palm-free foods in the dessert and processed foods categories. That’s why we really consider it a big win when we find packaged foods without palm ingredients that we know we can eat safely. Here’s how to find products without palm oil. See our lists of snacks without palm oil; cookies without palm oil; and candy without palm oil. As always, please support companies and brands who don’t use any palm oil ingredients and the hundreds of names they go by. You know how difficult it is to find protein bars and other bars without palm oil and related palm ingredients. Please, if you know of other nutrition bars and granola bars without palm oil, help us all by listing them in the Comments. We’ll add them to this list. Thank you! We are not medical professionals. This is not medical advice. Please consult with your physician. The information is based on our own Internet research and reading labels to compare ingredients against the hundreds of names for palm oil derivatives. We have also reached out to each of these companies, specifically asking them about each product and asking questions to confirm ingredients. Thank you for being proactive and for read labels. By choosing the palm oil-free bars, we will be making a difference. Please list any palm oil free bars or any other helpful information in the Comments below. Kind Bars ingredient list still includes palm nut oil. Thank you for your comment and for being an informed consumer! Yes, many of KIND’s products do contain palm oil, including the ingredient you referenced. In this post, we included only the specific products we have confirmed to be 100% free from palm oil, palm kernel oil, and palm oil derivatives. Right now we have included 20 of their products and hope to be able to include more once we hear back from them. We are waiting to hear back from KIND to identify the sources for some of their other ingredients which may or may not be from palm oil. In the meantime, keep checking ingredients and reading labels. It’s great you are so informed and digging deeper. As consumers, we have options! Hello again, Leslie. We wanted you to know we’ve written to follow up with KIND many times and have yet to hear back from them about specific ingredients which may be derived from palm oil. Please read all labels before buying granola and snack bars.